Beirut Groove Collective Fridays are back, baby! Join the region's oldest and only strictly vinyl collective, the BGC, on Friday 9 November, for an All-Night dancing party in our new Friday night home at KED. 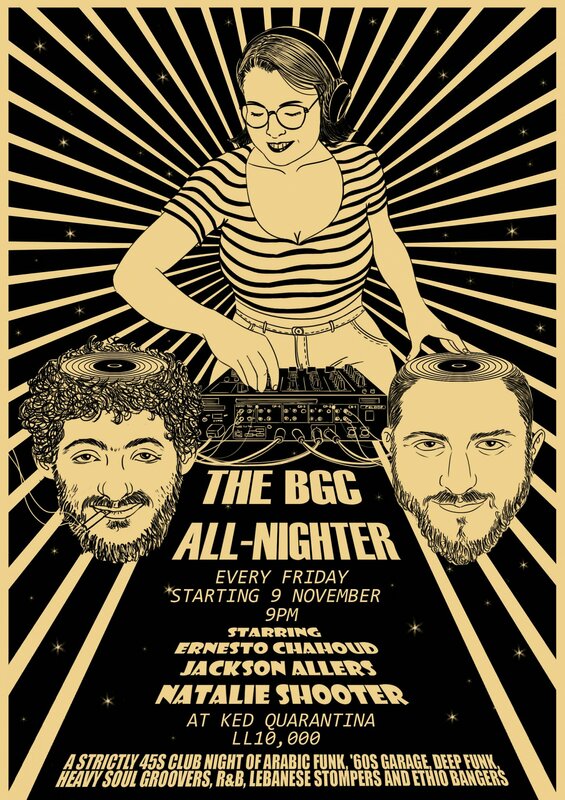 The BGC DJ crew – Jackson Allers, Ernesto Chahoud and Natalie Shooter – will be filling the warehouse with soulful cuts in everything from '60s Garage and Deep Funk to Rhythm and Blues, 1970s Ethio Stompers, Psych, as well as a healthy serving of the Arab World's bellydance, tarab, Armenian org-stompers and little known beat and '60s garage rarities, all spun on 45. The almost decade-year-old Beirut Groove Collective combines the DJ efforts of BGC co-founder Ernesto Chahoud (***and his record store/label Darsko), filmmaker and BGC turntable veteran Jackson Allers, and longtime collector, digging connoisseur, writer and super smooth DJ of all things soul Natalie Shooter. 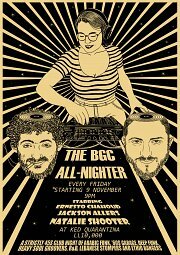 Together with their BGC cohorts, they run the only Strictly Vinyl weekly club night in the Arab world - featuring the finest 60s and 70s floorshaking music - Ethiopian Bangers, Northern Soul, Deep Funk, 60s Garage, Soul, Breakbeat, Prog-Rock, Mod, Lebanese stompers, Arabic psychedelia, Motown.